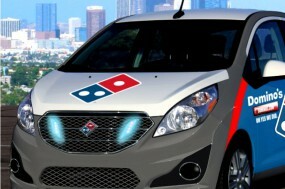 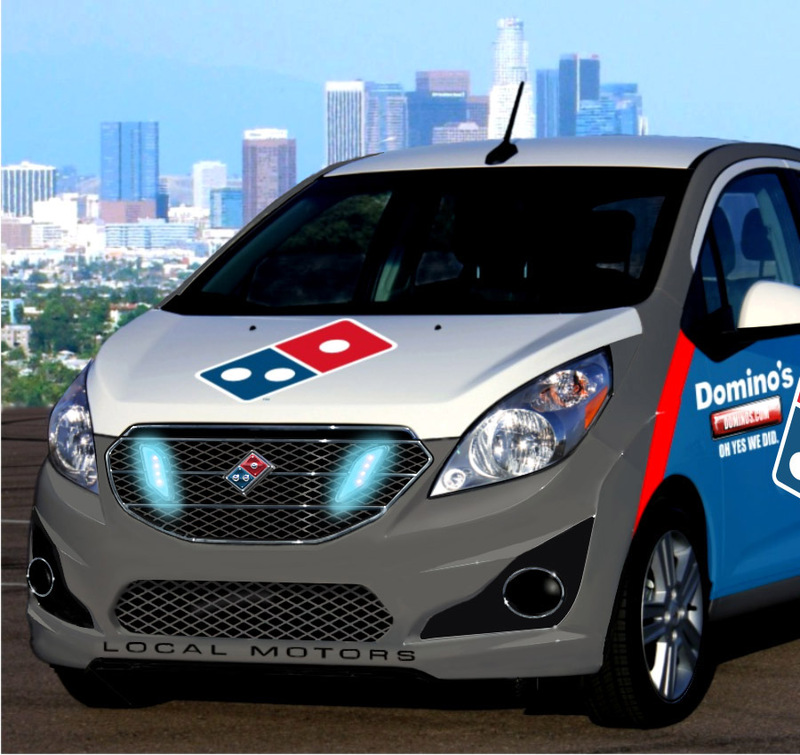 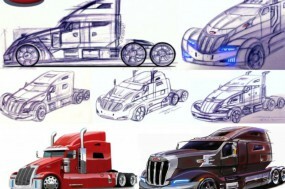 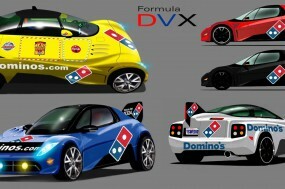 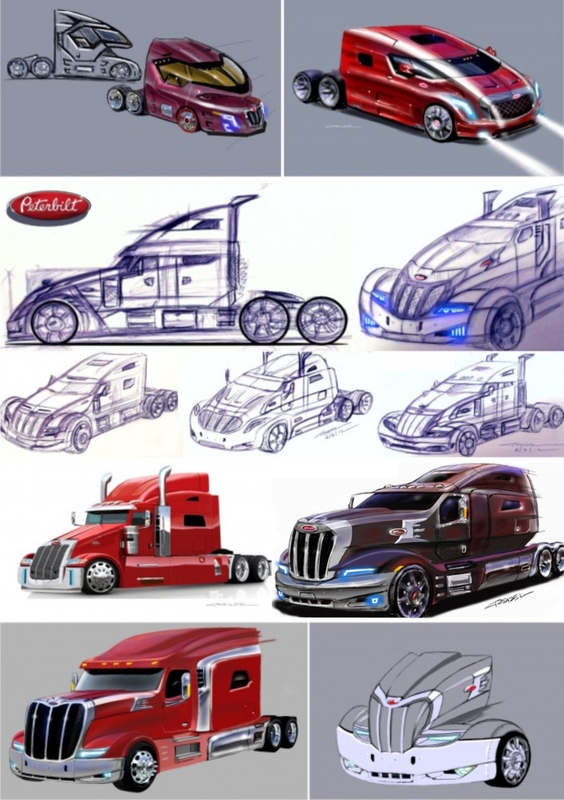 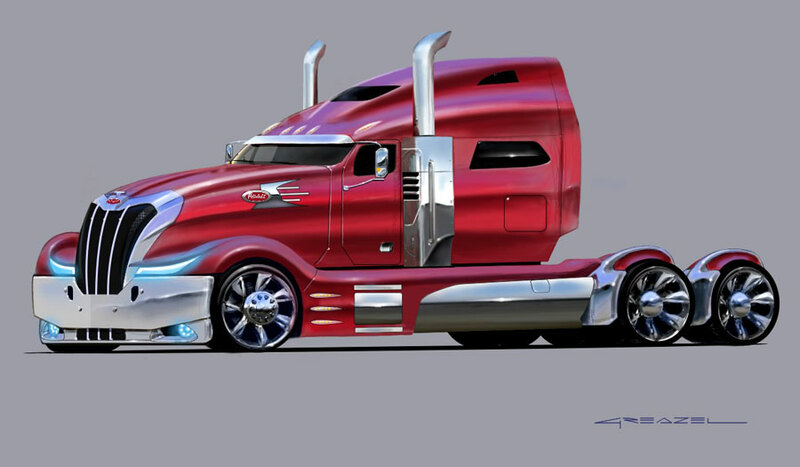 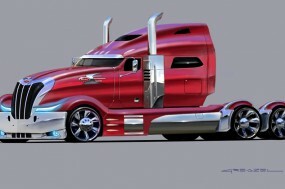 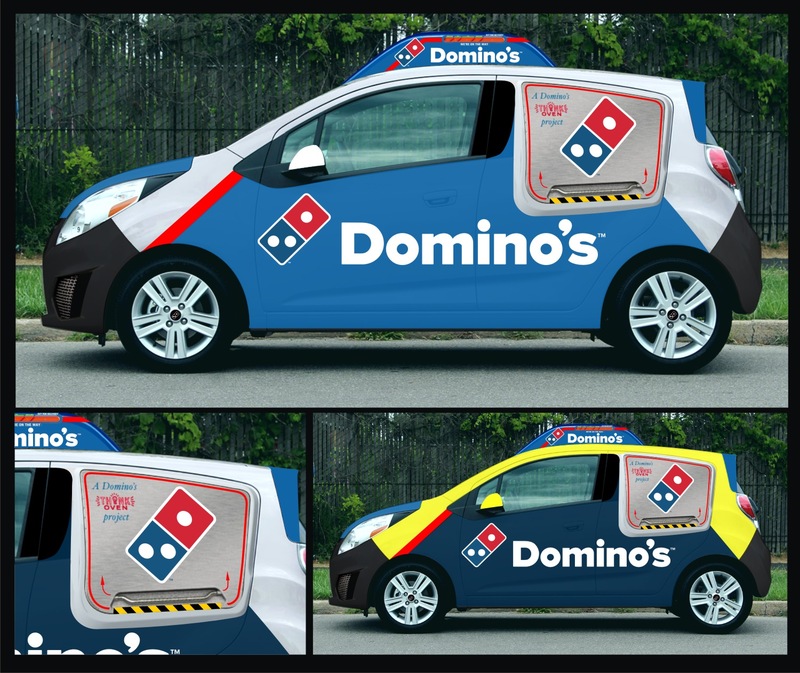 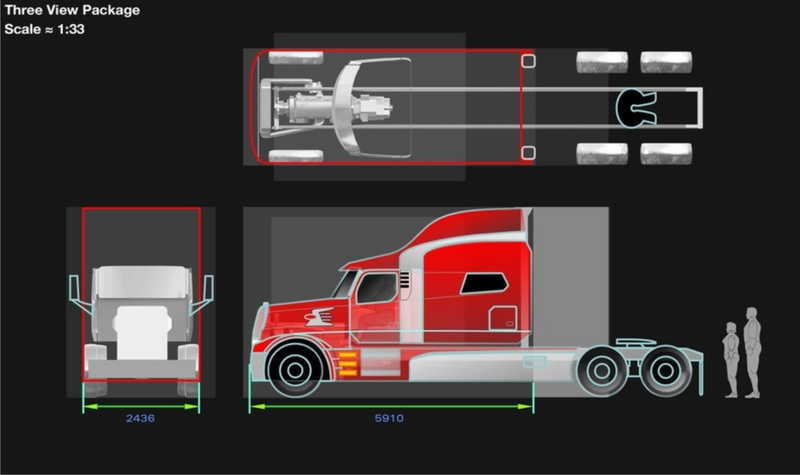 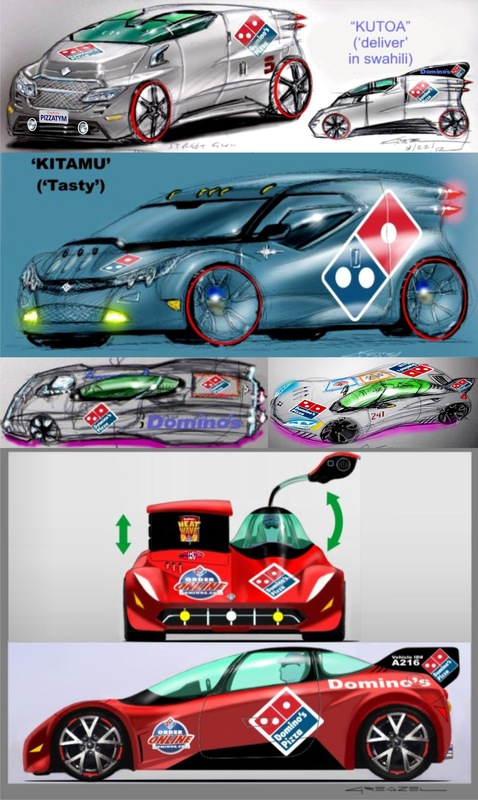 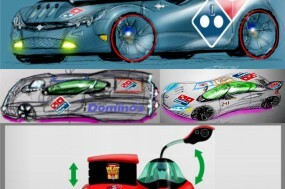 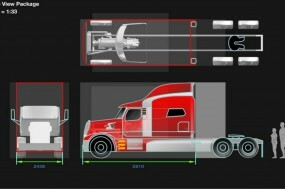 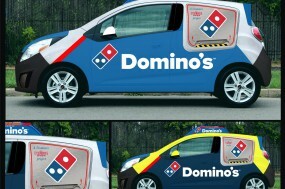 Initial concept ideation for Domino’s Ultimate Delivery Vehicle project. 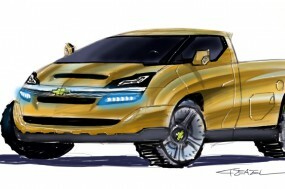 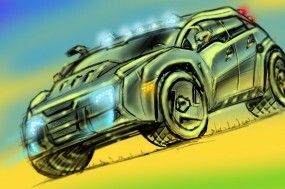 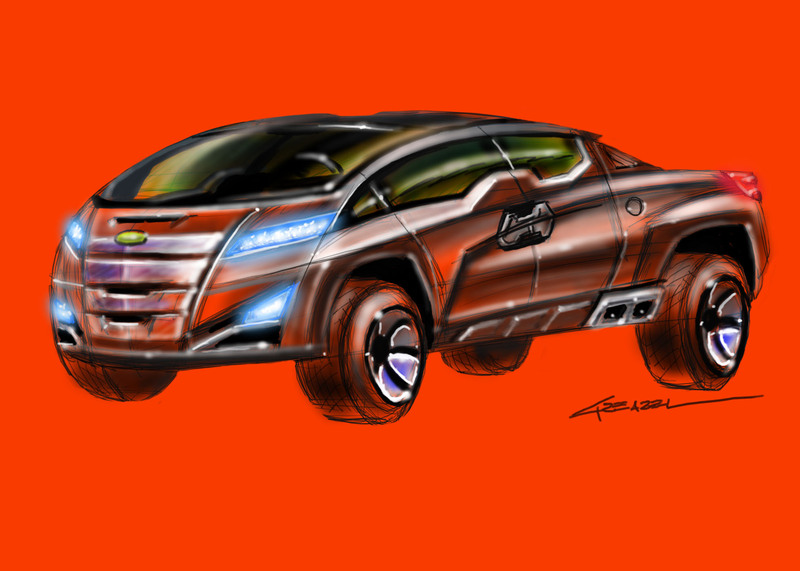 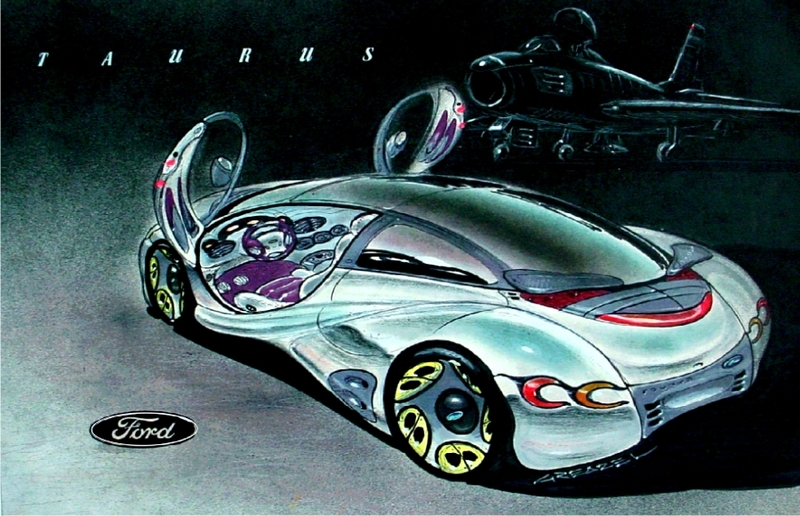 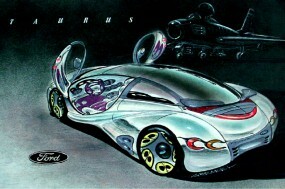 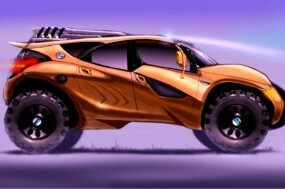 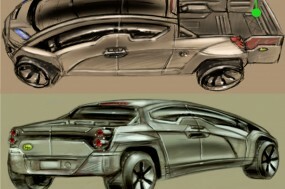 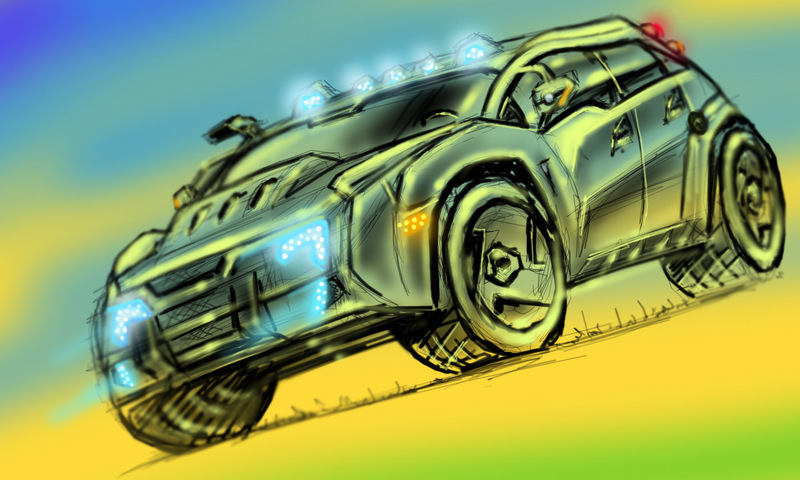 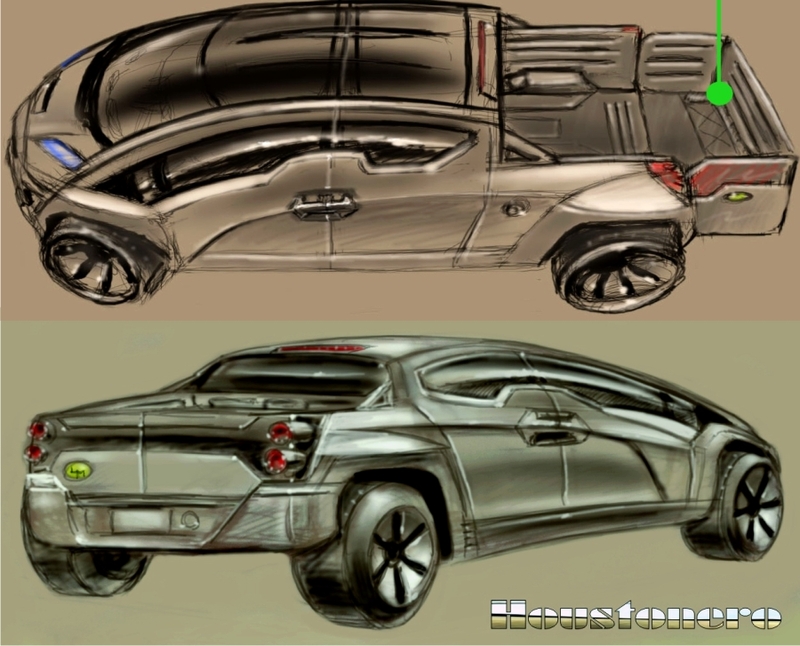 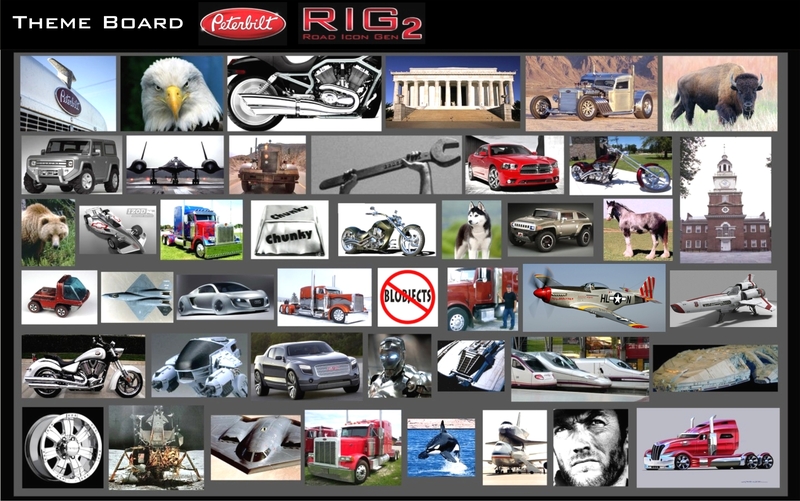 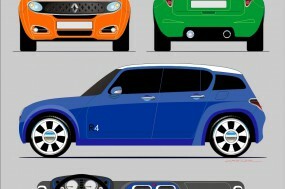 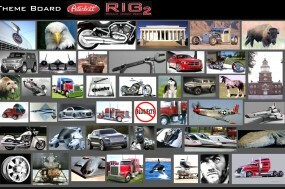 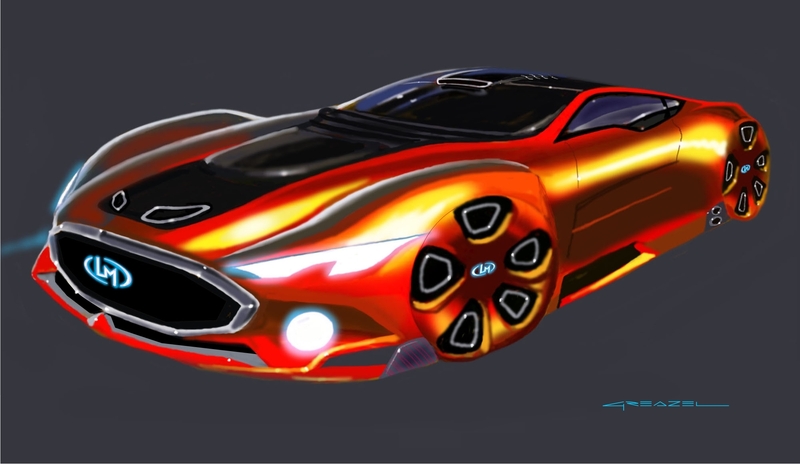 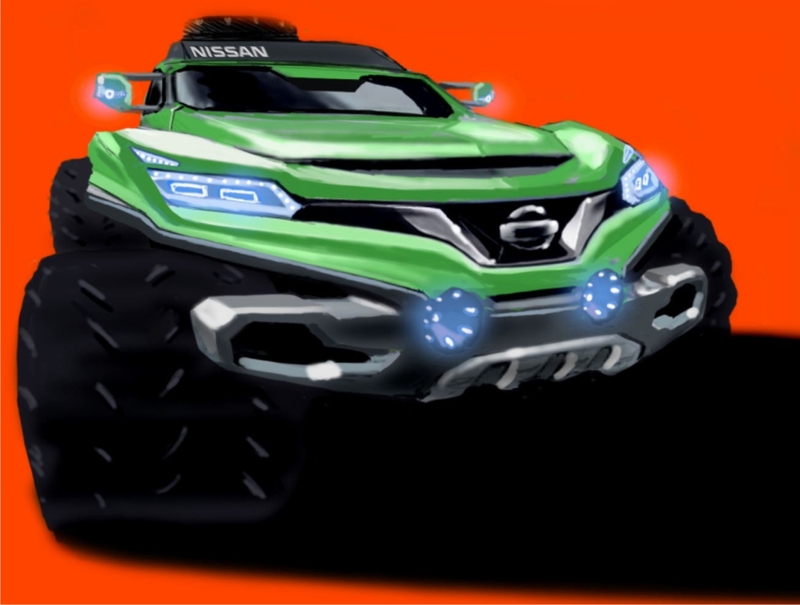 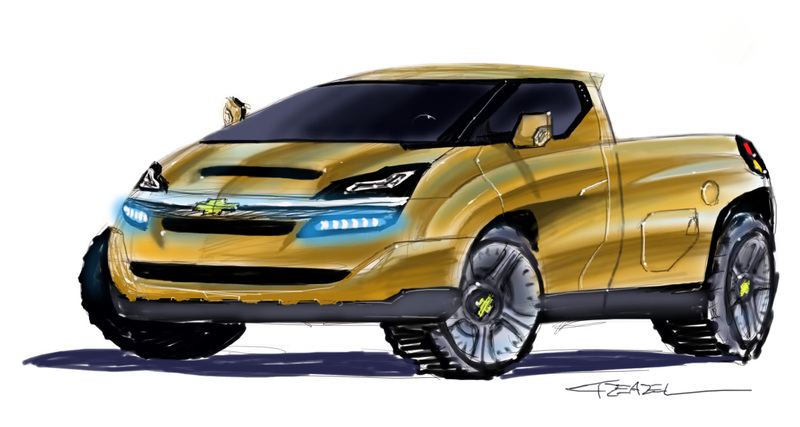 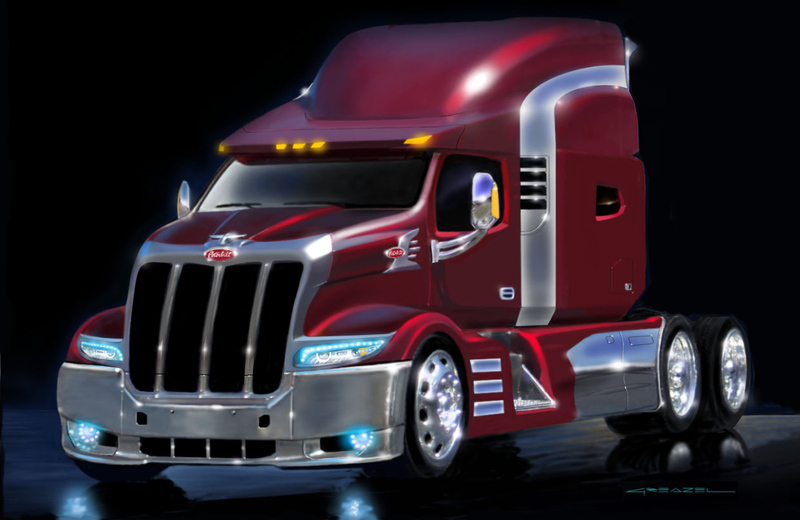 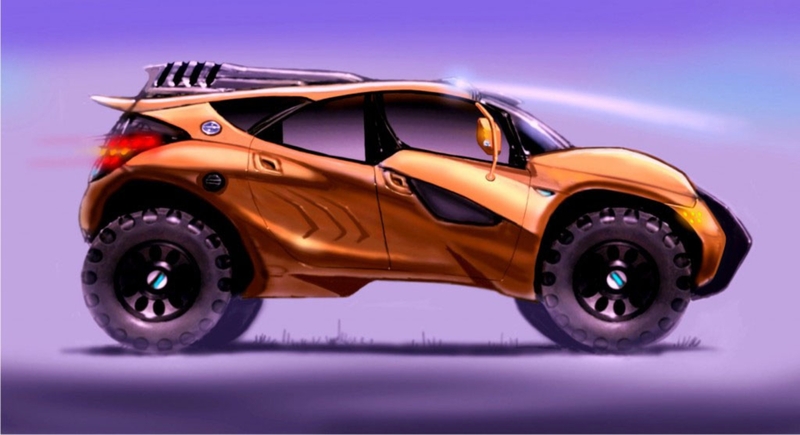 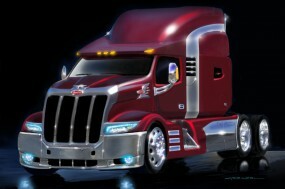 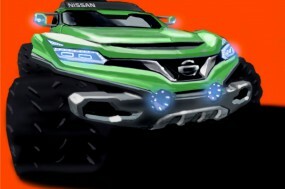 The design brief called for a unique, distinctive, cool, stylish and fun-to-drive utility vehicle. 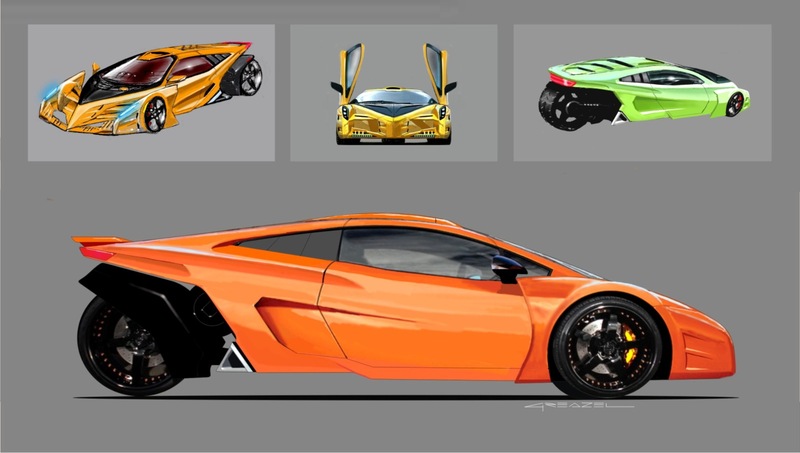 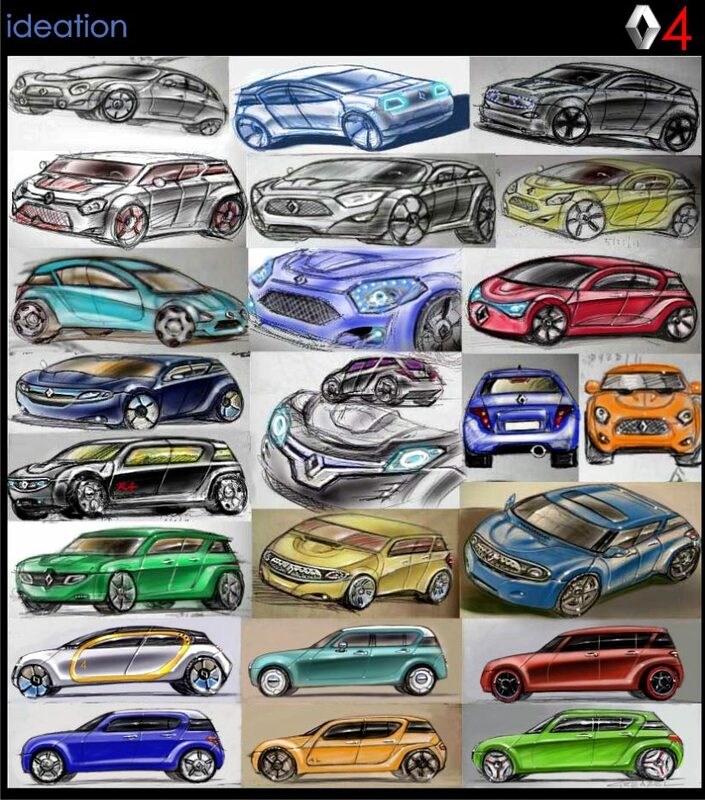 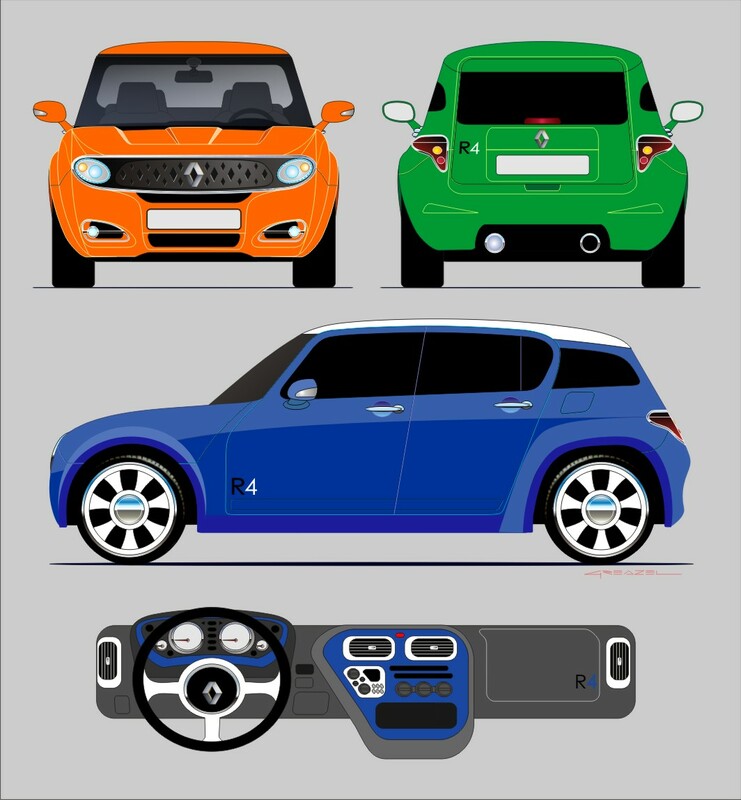 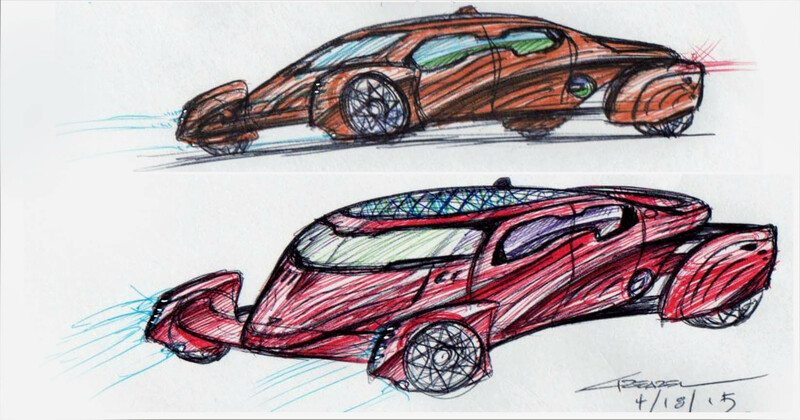 Sketch themes progress from vanlike shapes into efficient asymmetrical befinned sportscar-like designs, inspired by classic Motorama show cars and 1950s LeMans racers. 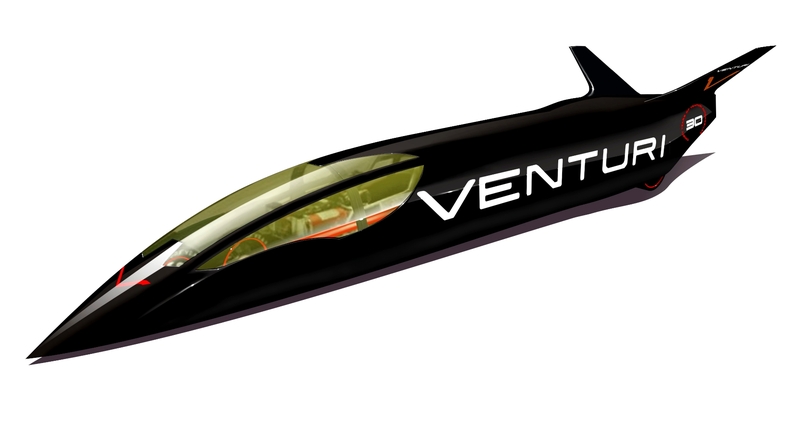 UDV Phase III–Graphics treatment; and stainless-finish side-loading ‘hatch’ door–inspired by spacecraft airlocks, and intended to evoke connotations of both a modern industrial oven, and a secure valuables vault. 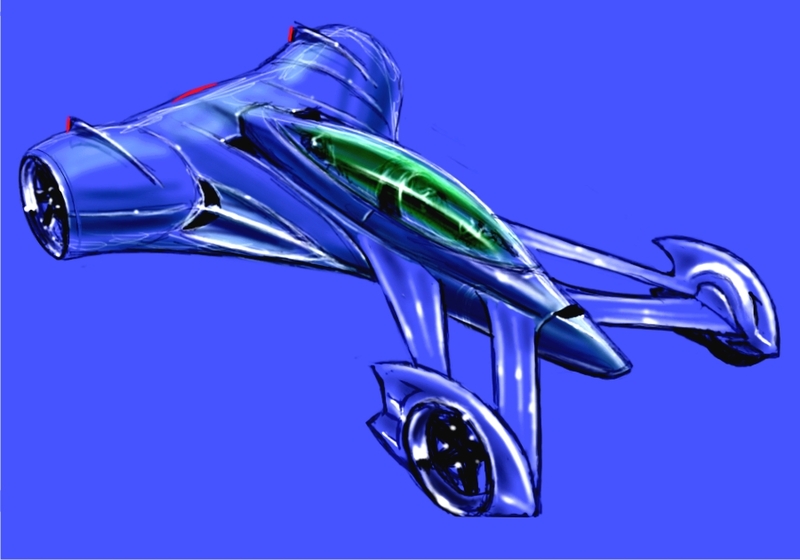 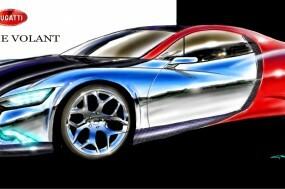 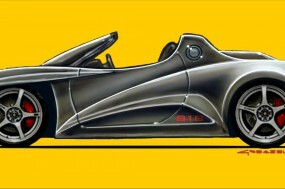 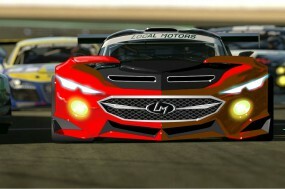 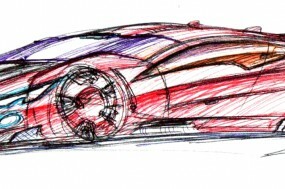 LeMans Prototype GRX-38–unrefined initial image sketch; Photoshop coloring over ballpoint ink. 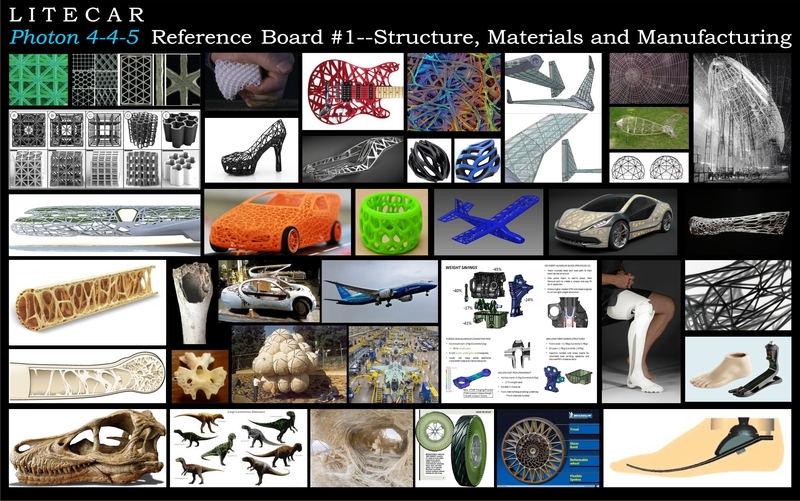 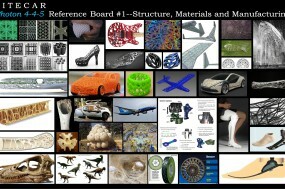 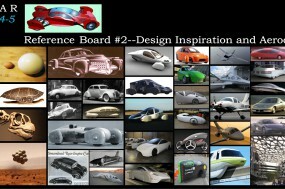 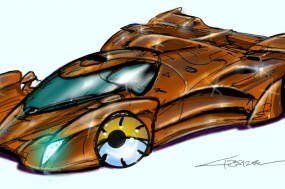 Wyvern 2+2 ragtop; proposal for the world’s first 3D printed highway-legal production car. 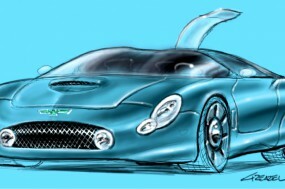 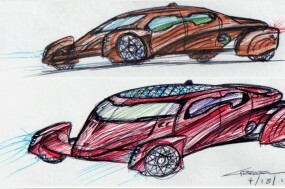 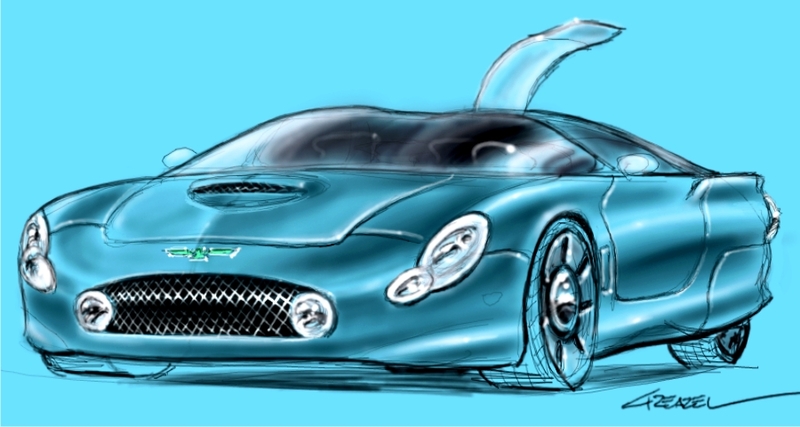 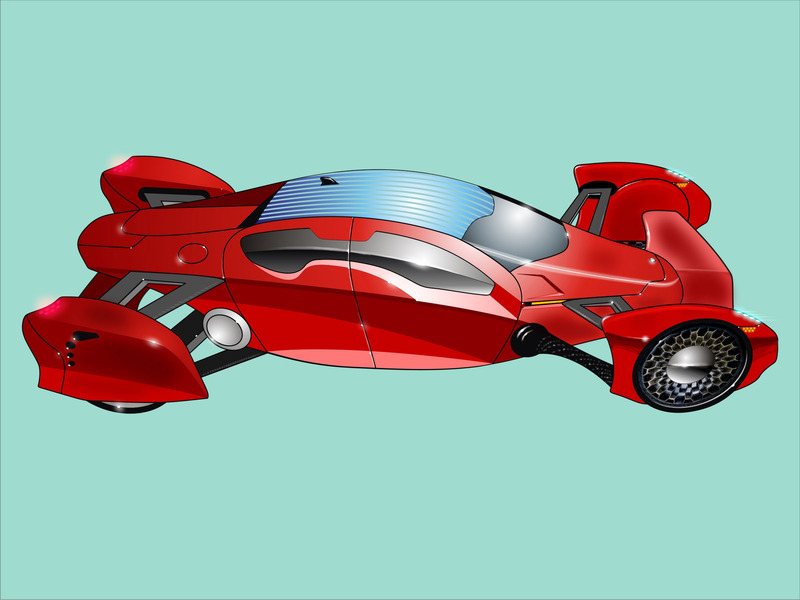 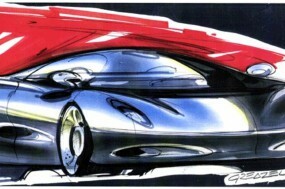 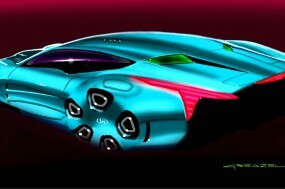 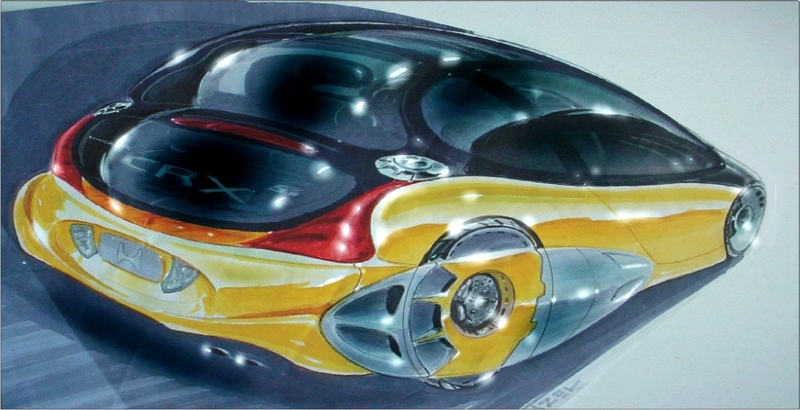 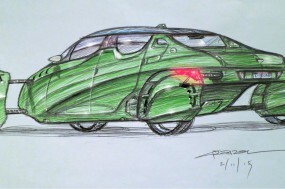 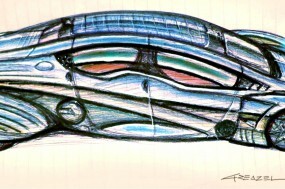 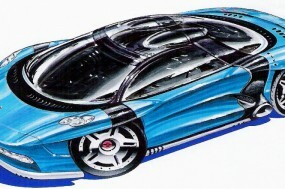 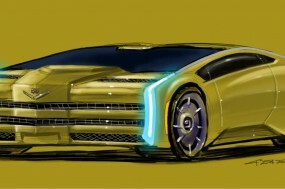 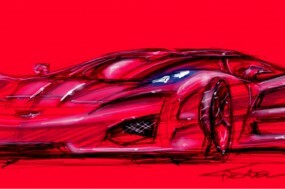 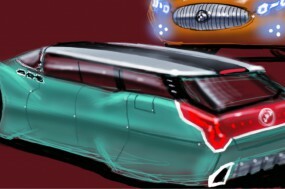 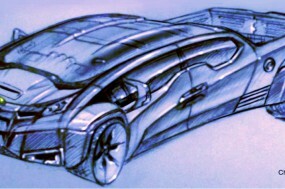 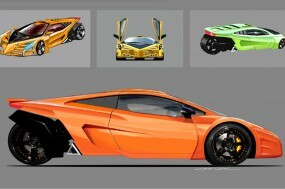 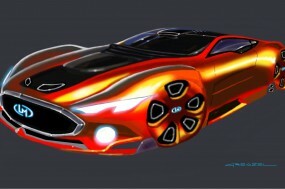 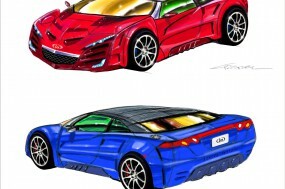 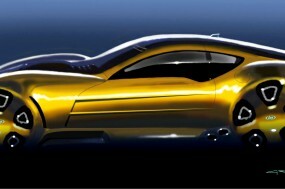 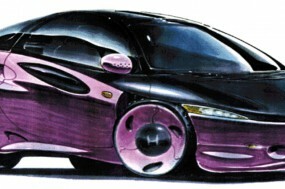 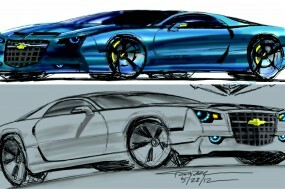 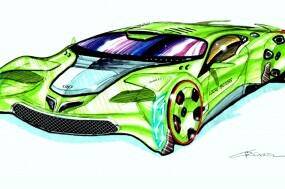 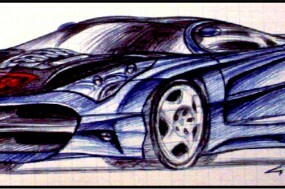 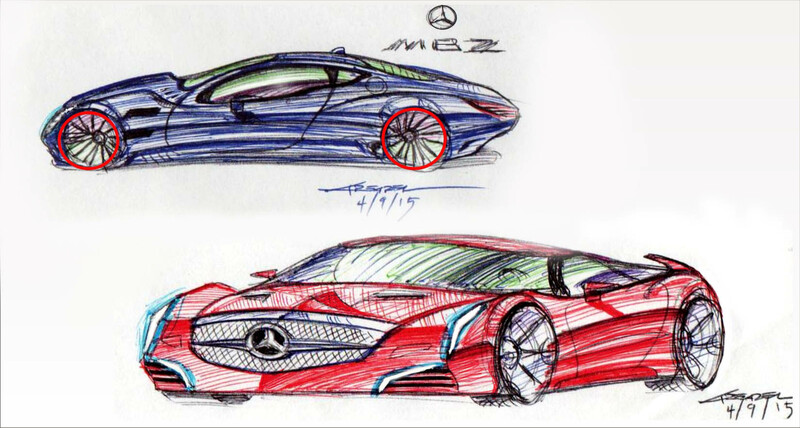 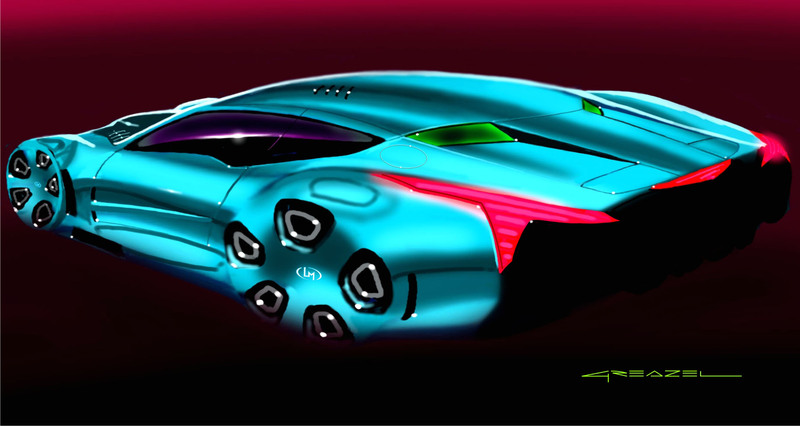 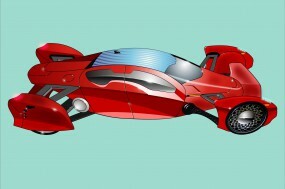 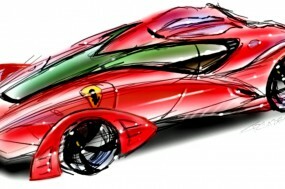 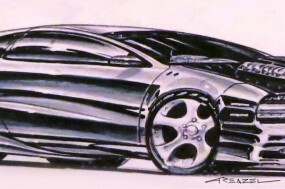 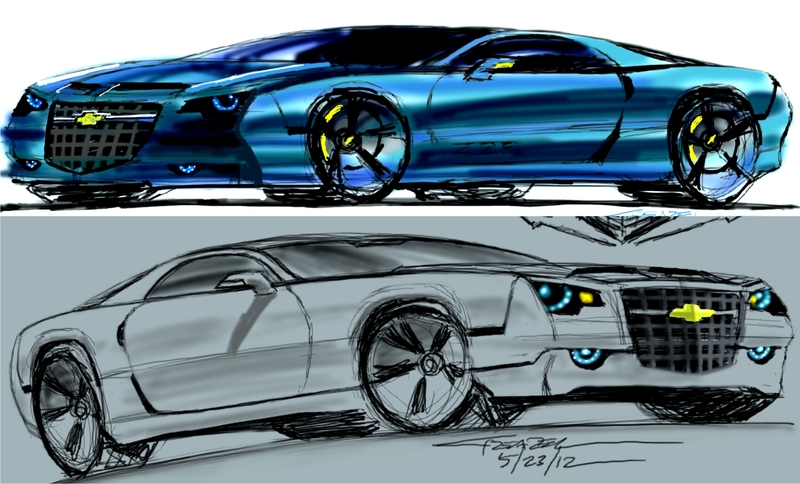 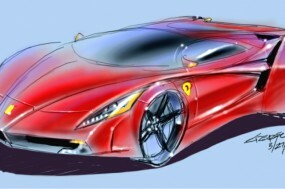 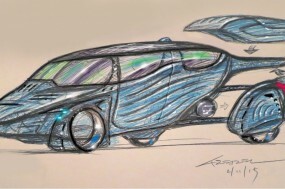 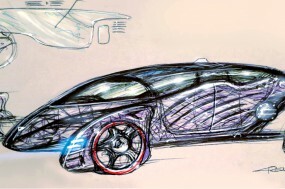 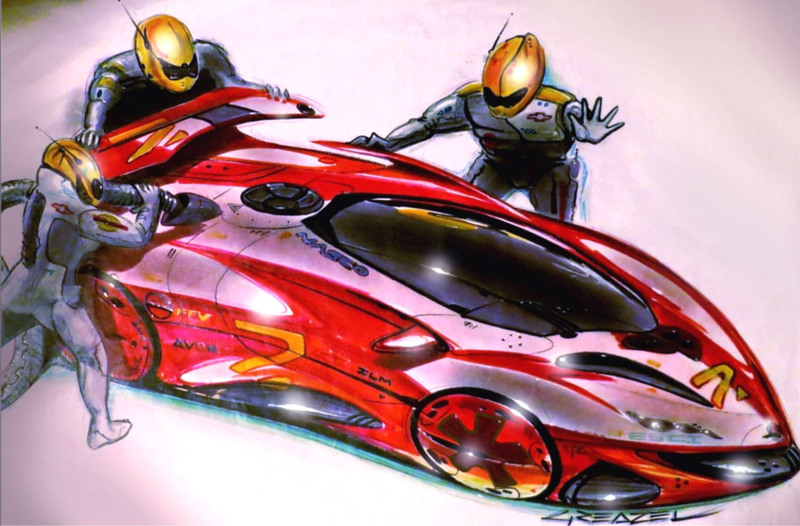 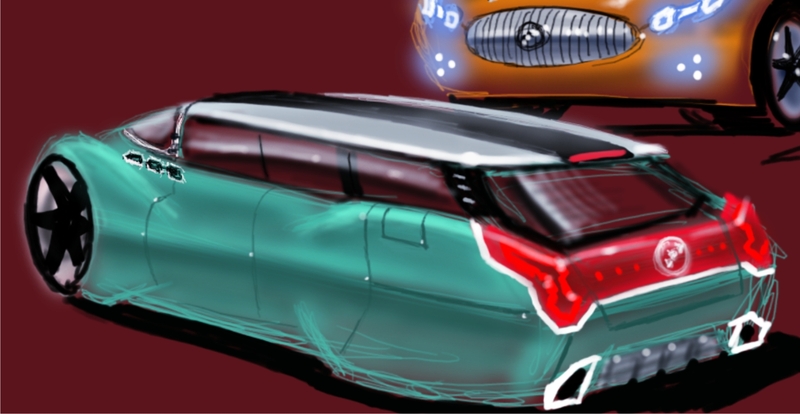 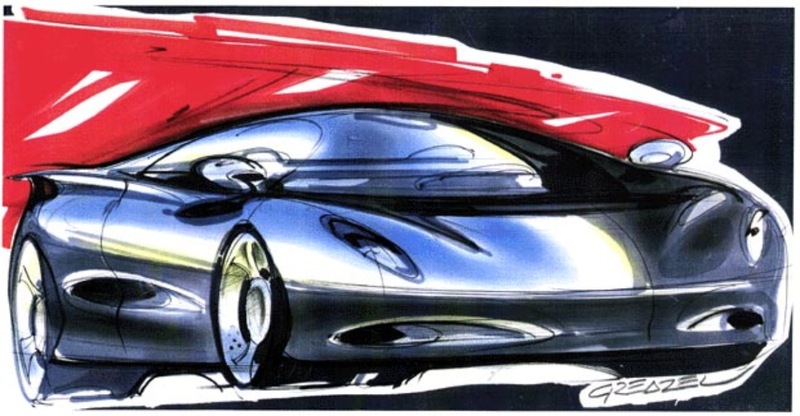 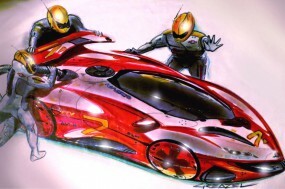 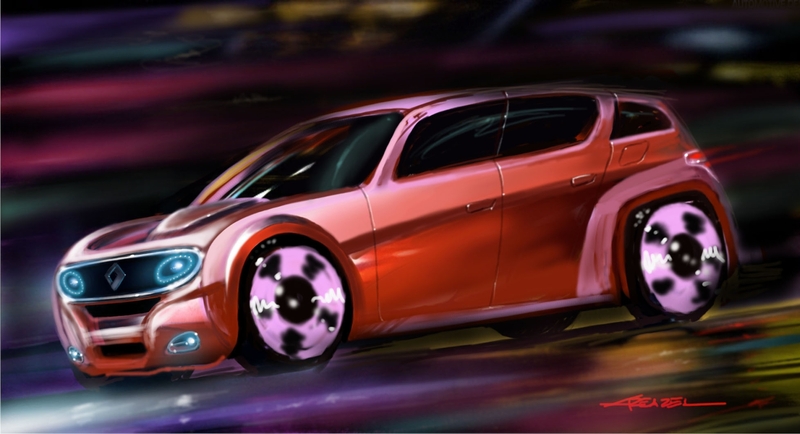 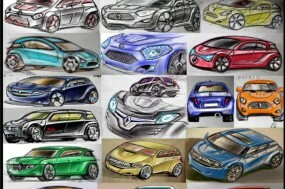 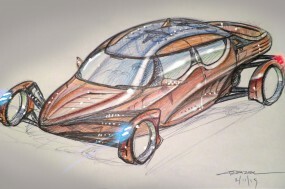 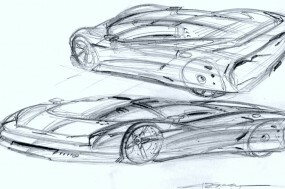 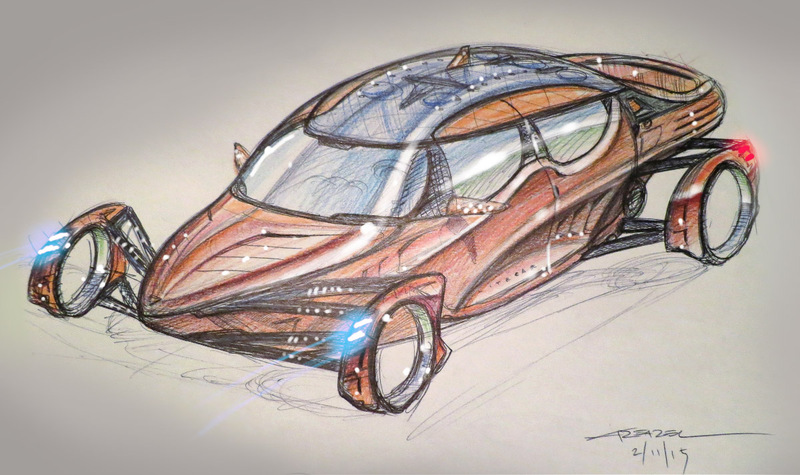 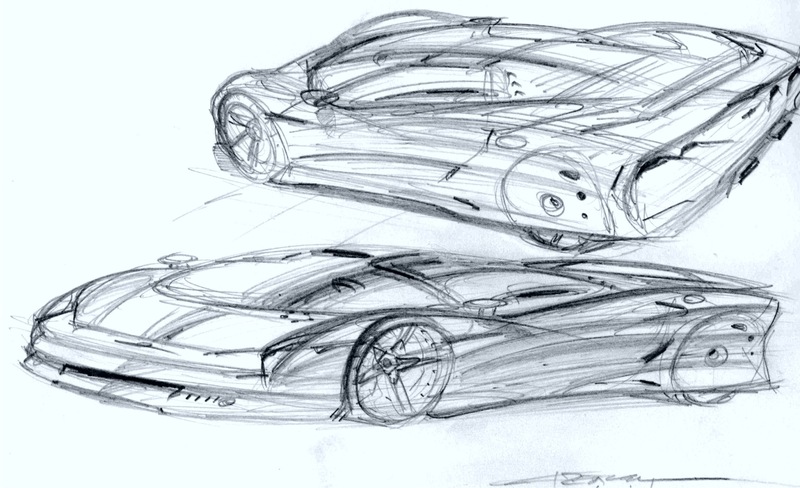 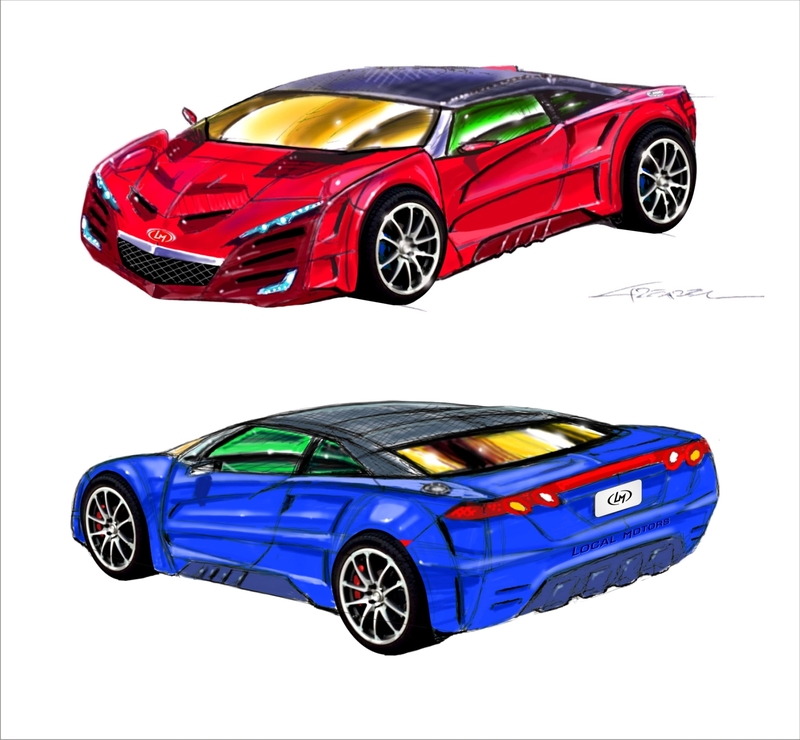 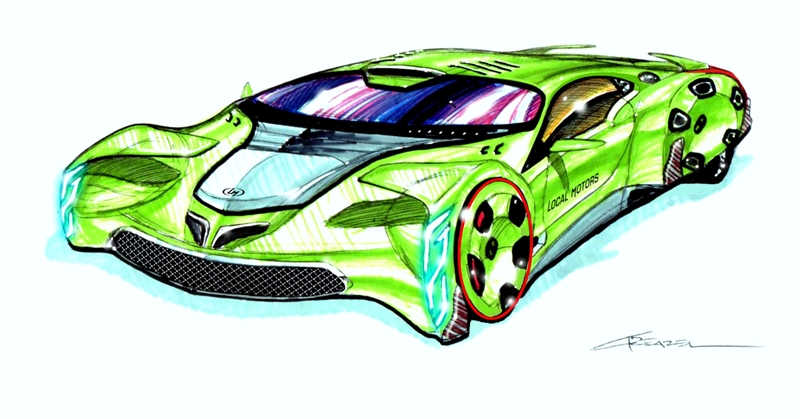 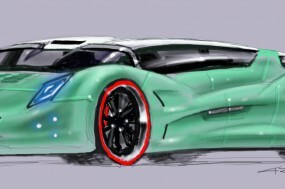 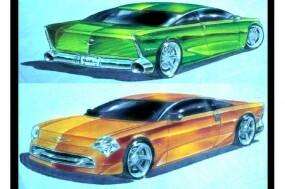 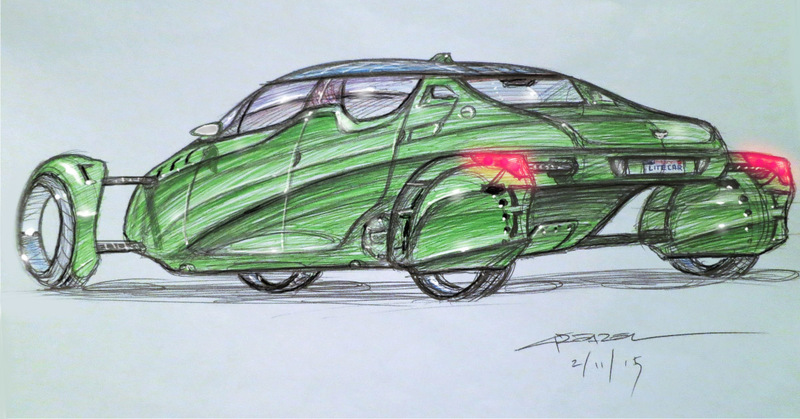 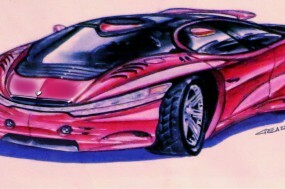 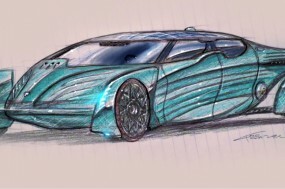 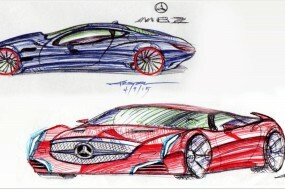 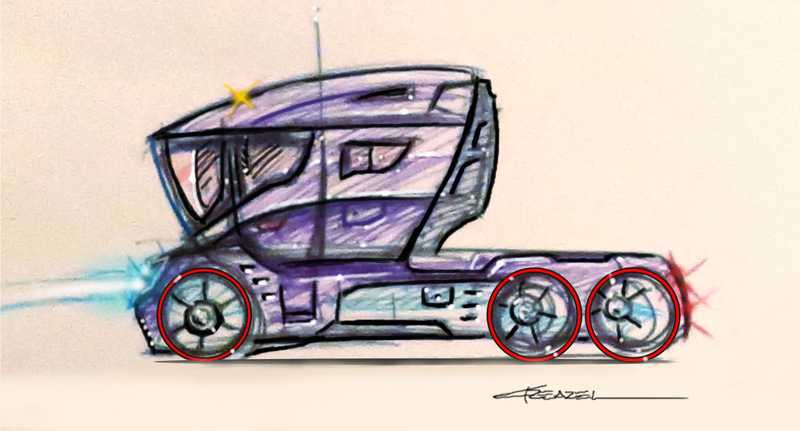 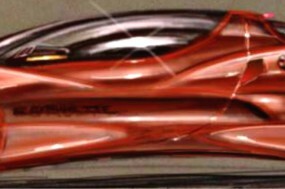 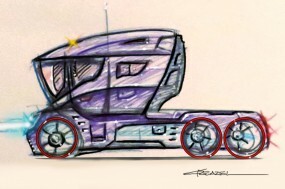 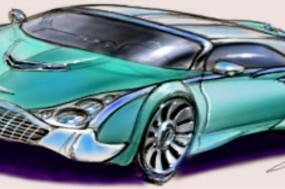 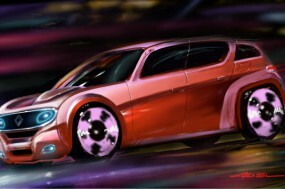 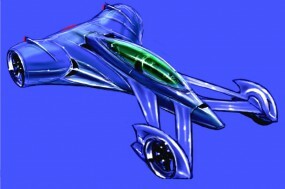 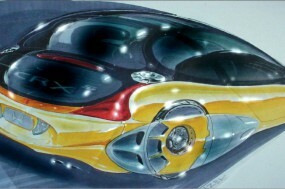 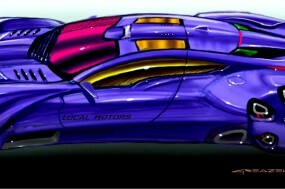 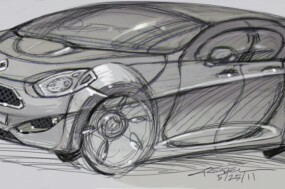 arpa-e LITECAR concept; informal sketch-doodle–one of dozens–done in this case using only colored ballpoint pens. 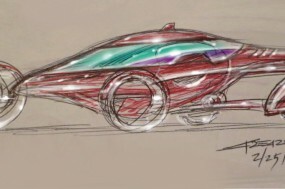 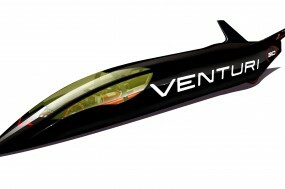 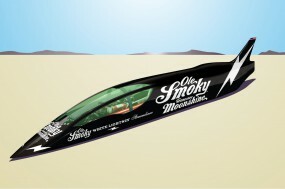 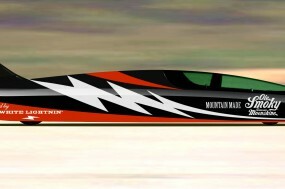 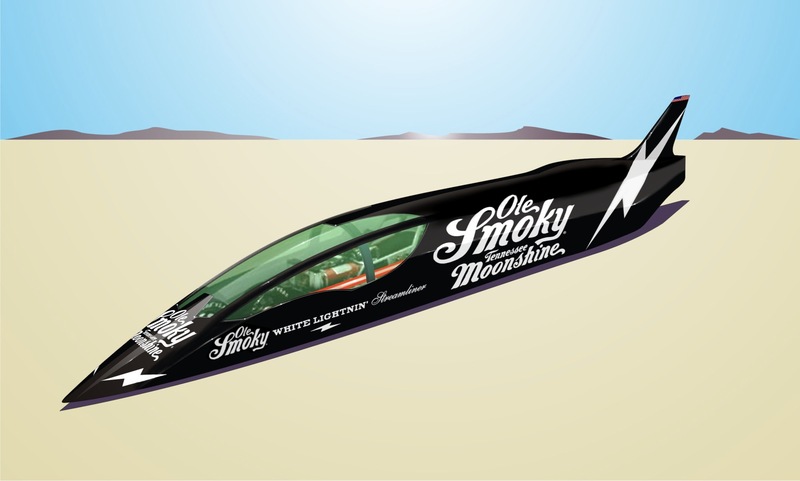 Electric Land Speed Streamliner-Twin Tail Variant. 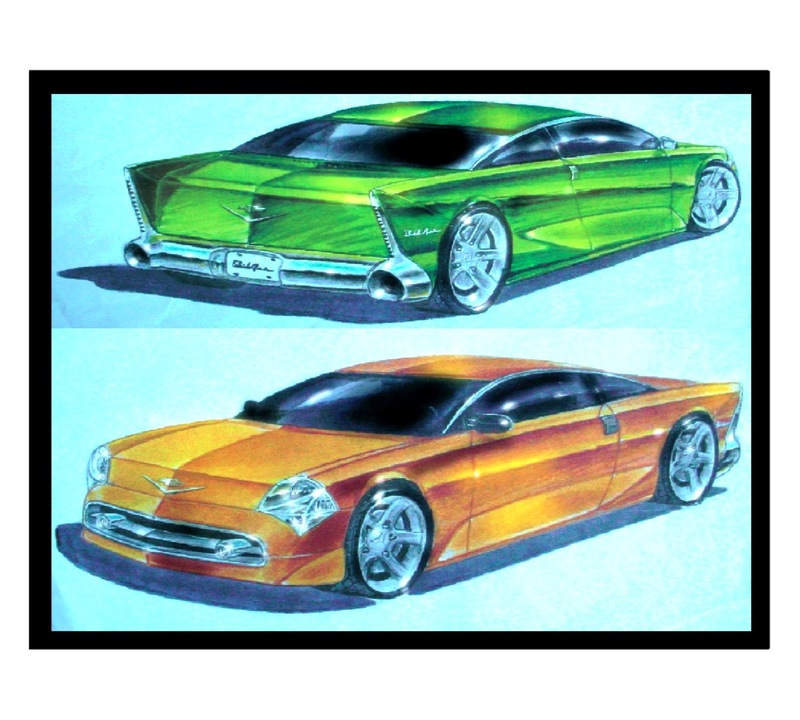 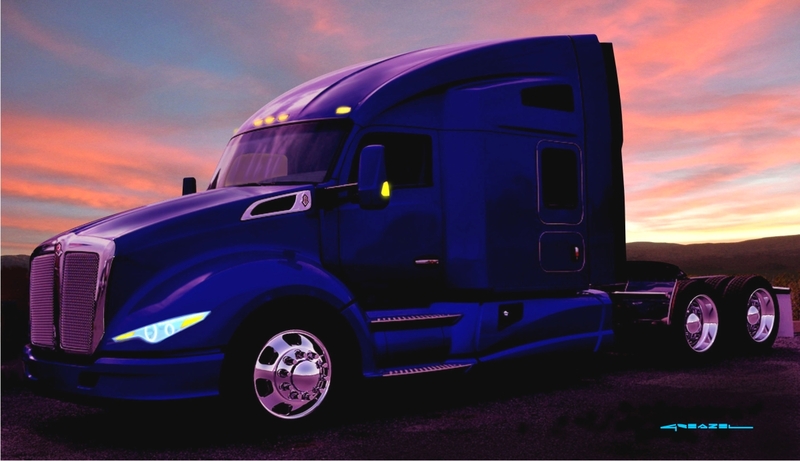 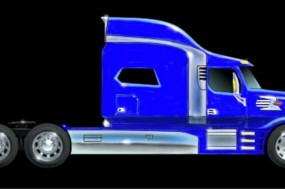 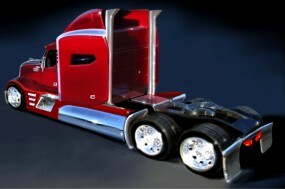 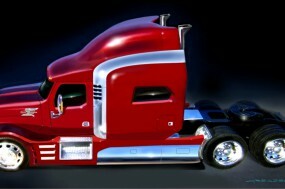 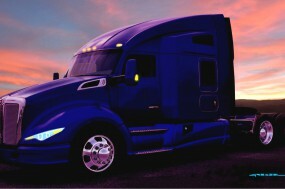 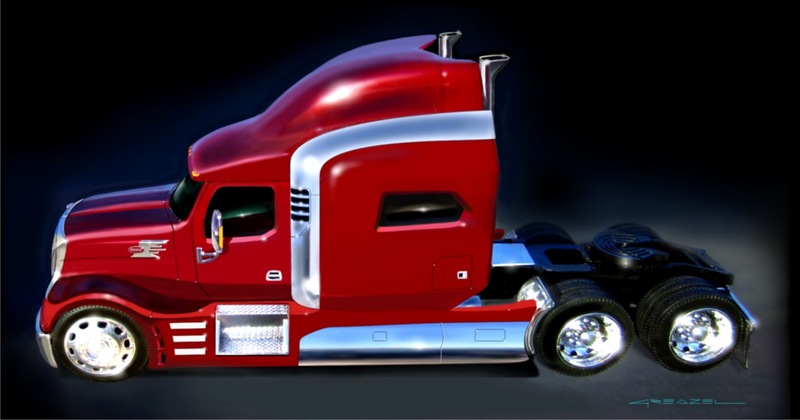 The intent is that the attitude of the fins will direct the shock waves encountered at high velocities to fan out on either side of the vehicle, thereby increasing stability similar to the effect of having training wheels on a bicycle. 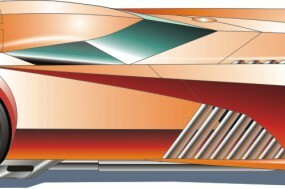 A centrally-mounted airbrake is now specified.